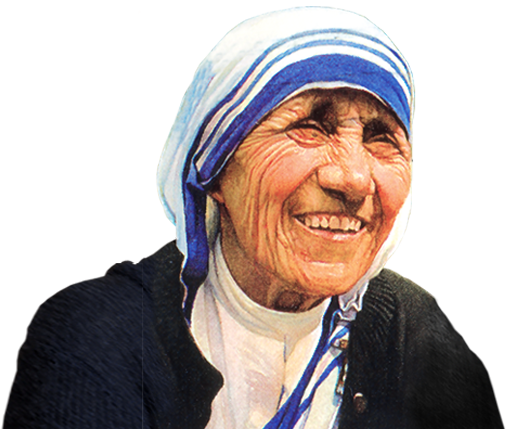 One of the most beloved woman of her time, Mother Teresa set out to serve the poorest of the poor for Christ. 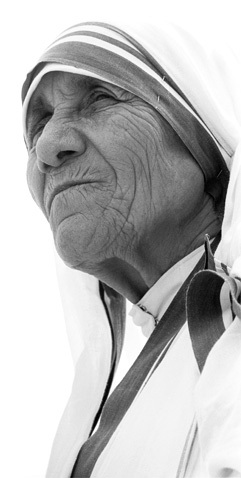 This September 4th, the Catholic Church will proclaim her a saint, and therefore worthy of imitation by the faithful. 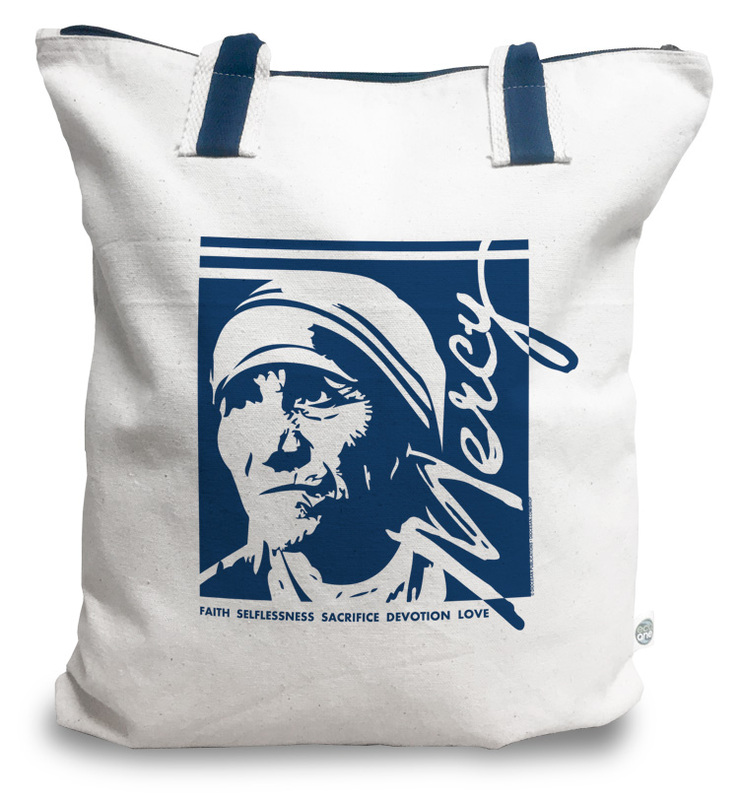 We invite you to join in this momentous occasion, in your home and parish, with our exclusively-designed products. 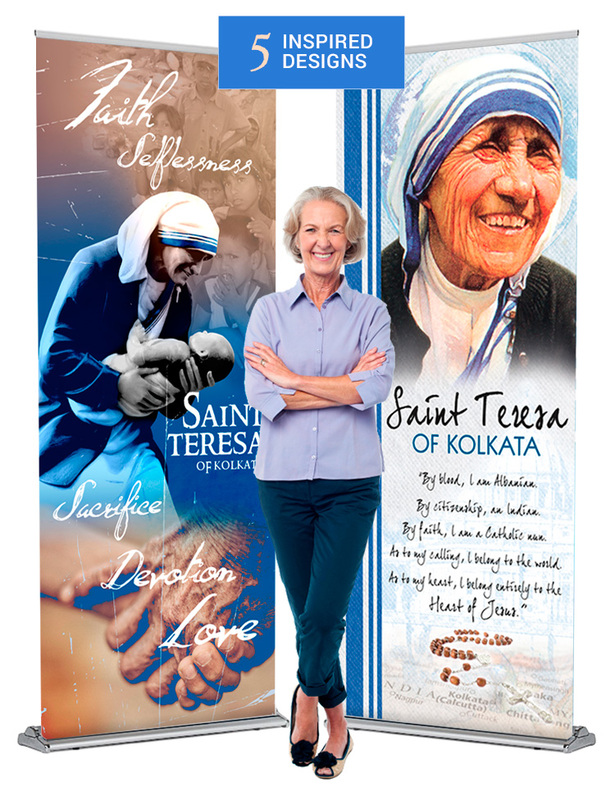 Give the Church’s newest saint a place of honor in your parish with one of our beautiful banners. 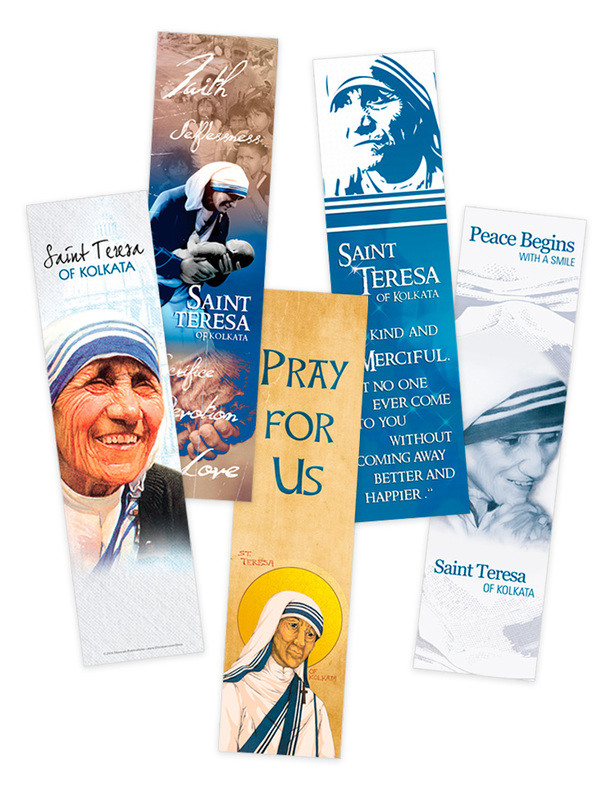 At over 6 feet tall, these banners each highlight an aspect of Mother Teresa’s mission: to see and serve Christ in the poor. 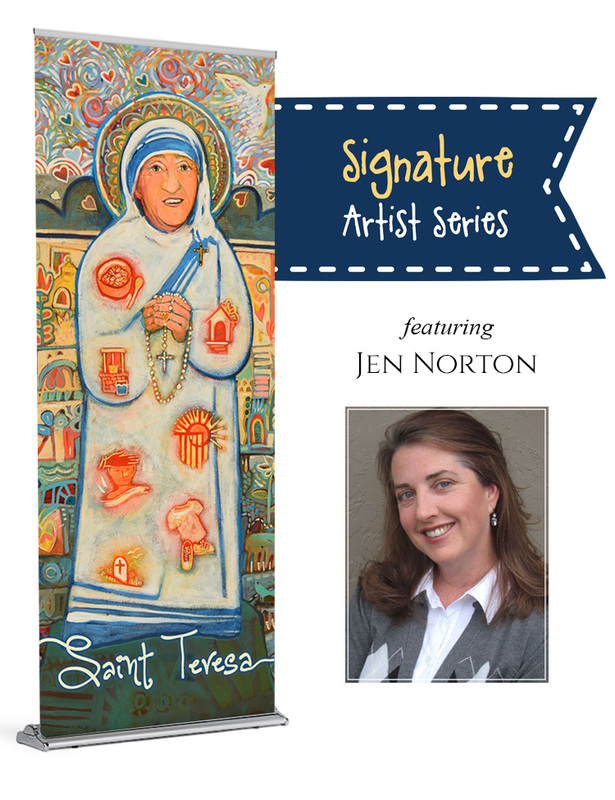 We are pleased to offer this exclusive Mother Teresa banner by Catholic artist Jen Norton as the premiere piece of our Signature Artist Series. 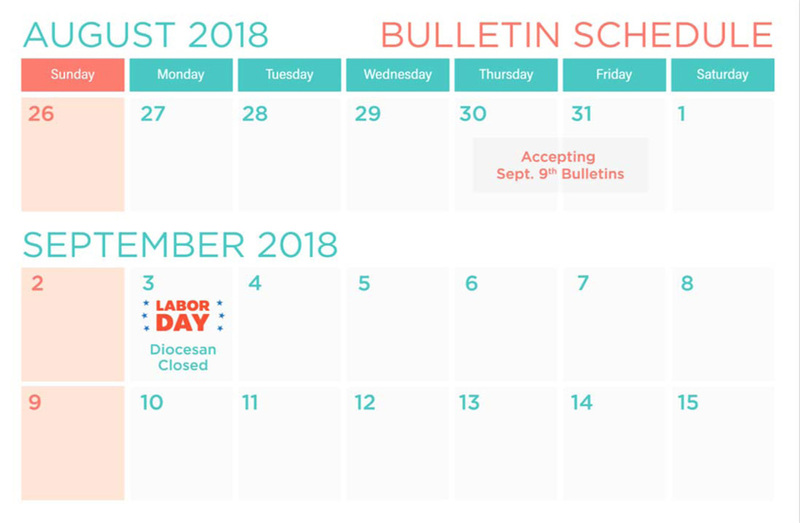 Our prayer cards are designed to complement our banners, yet they will be a blessing on their own as well. 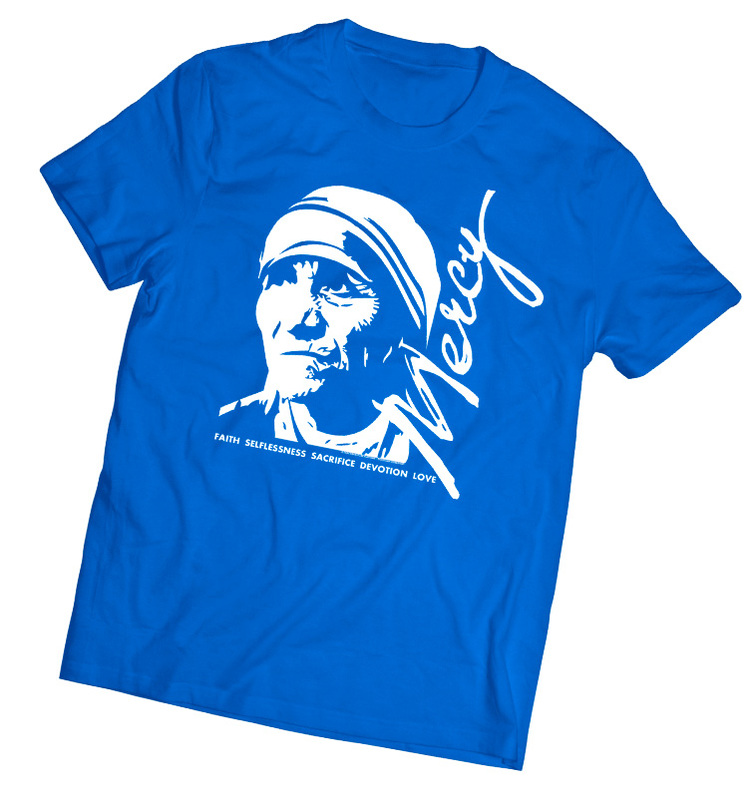 Each design is ours exclusively, and meant to inspire the faithful to imitate Mother Teresa’s boundless love for Christ. Quantities are limited. Get yours today! 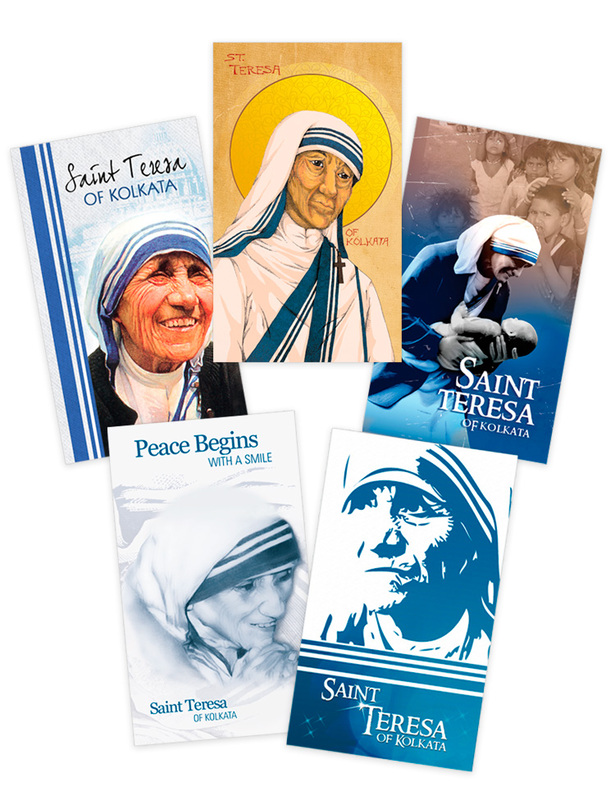 Our durable bookmarks will be a lovely reminder to their recipients to pause and pray, asking for the intercession of the Church’s newest saint. 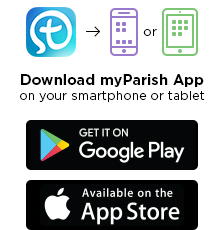 Available in both Spanish and English, these cards make for a lovely gift to friends, family and parishioners.